IWC presents another Limited Edition under its highly appreciated Pilot Collection. This time the new model is based on the famous Spitfire Chronograph model designed exclusively for British Film Institute (BFI). 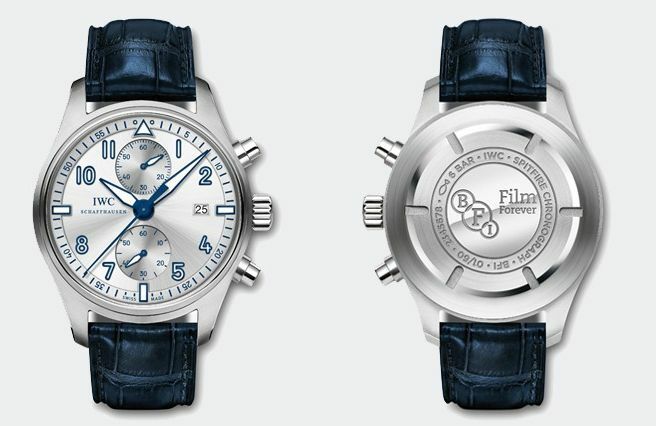 This limited edition timepiece celebrates the 60th anniversary of the BFI London Film Festival this year. IWC is the proud supporter and the Official Time Partner, a partnership that began in 2014 and is set to continue until 2019. The event will take from October 5th to the 16th. The new model’s case measures 43mm x 15.5mm. The cleverly designed lines of the stainless steel case nicely balance the thickness and make the watch quite a comfortable wearer. The case sports a domed and AR-coated sapphire crystal and it is water resistant to 60 meters. 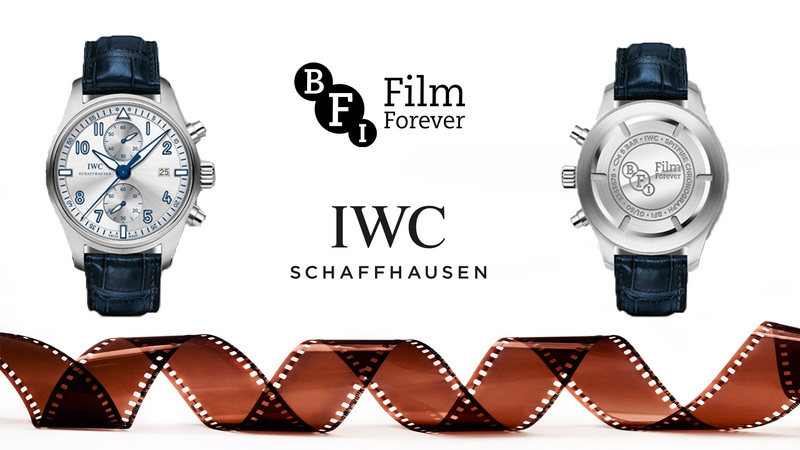 The solid stainless steel caseback features an engraving mentioning "BFI Film Forever". The dial is designed in silver color with SunRay surface. The Arabic numeral indices and hands are finished in sky blue color with SuperLuminova for better night time visibility. 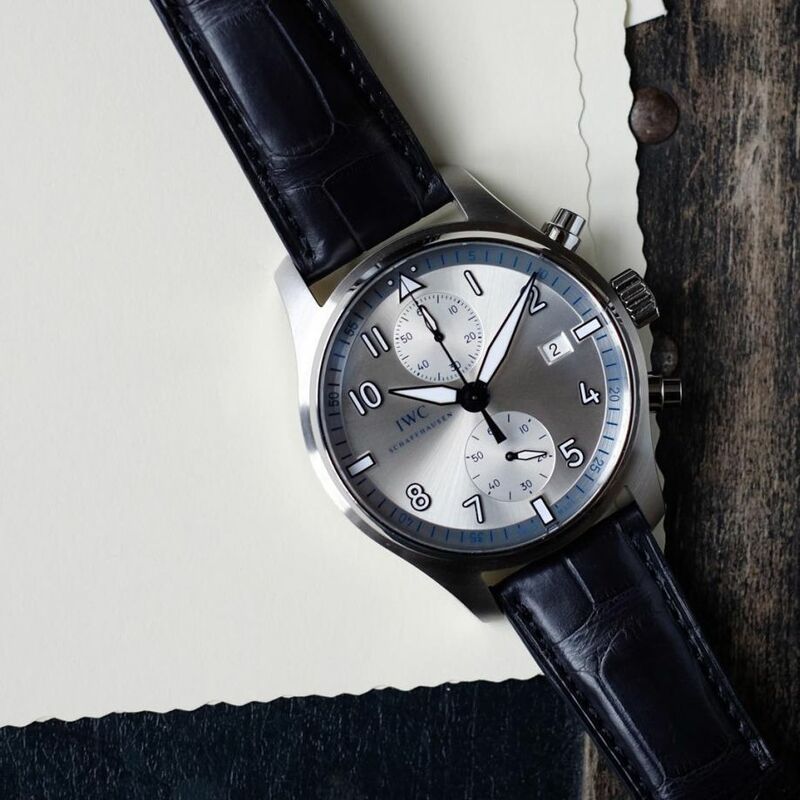 IWC Pilot Spitfire Chronograph BFI Limited Edition (Ref. IW387812 ) features the brand’s in-house movement Caliber 89365. 35 jewels movement beats at 28,800vph and offers a power reserve of 68 hours when fully wound. It features a chronograph and Flyback complications. 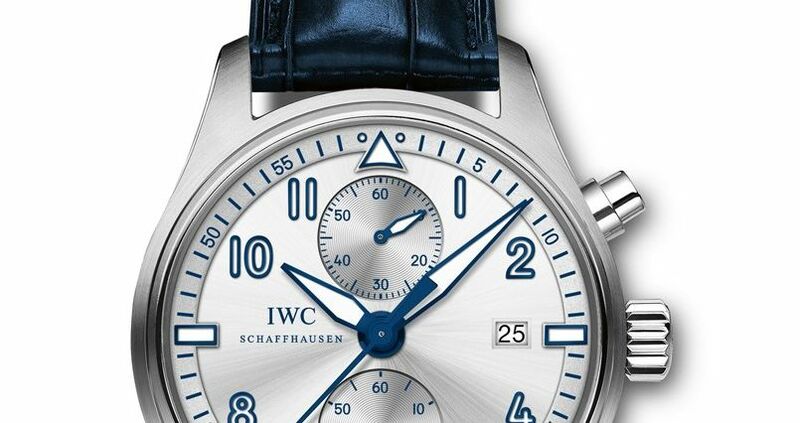 The new model is offered on a blue alligator leather strap which is secured with the IWC’s classic stainless steel folding clasp. This limited to 60 pieces only timepiece is available now at the IWC Boutique London, 138 New Bond Street, as well as selected retailers in the United Kingdom.